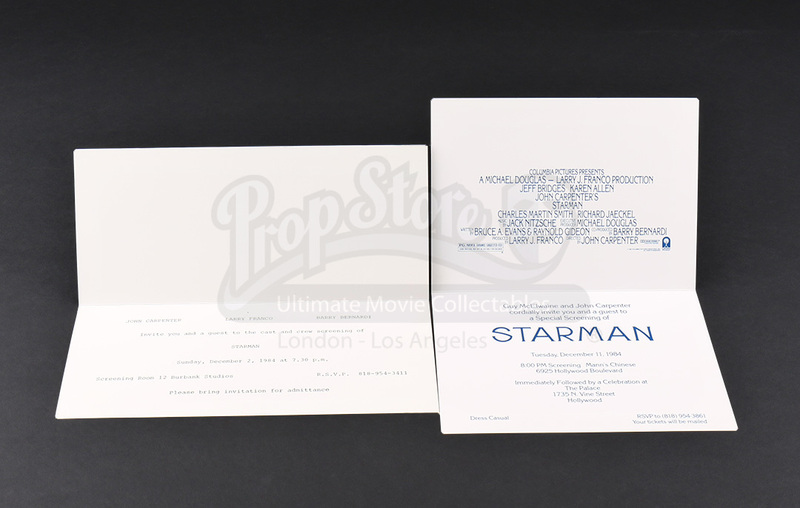 A set of screening invitations from John Carpenter's 1984 sci-fi romance film Starman. 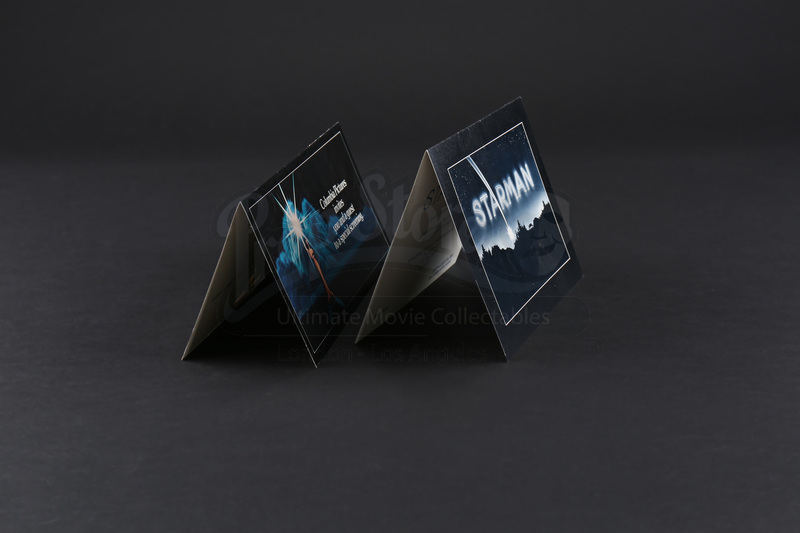 In the film, a young widow (Karen Allen) helps a stranded alien (Jeff Bridges) rendezvous with his people while avoiding capture by government agents. 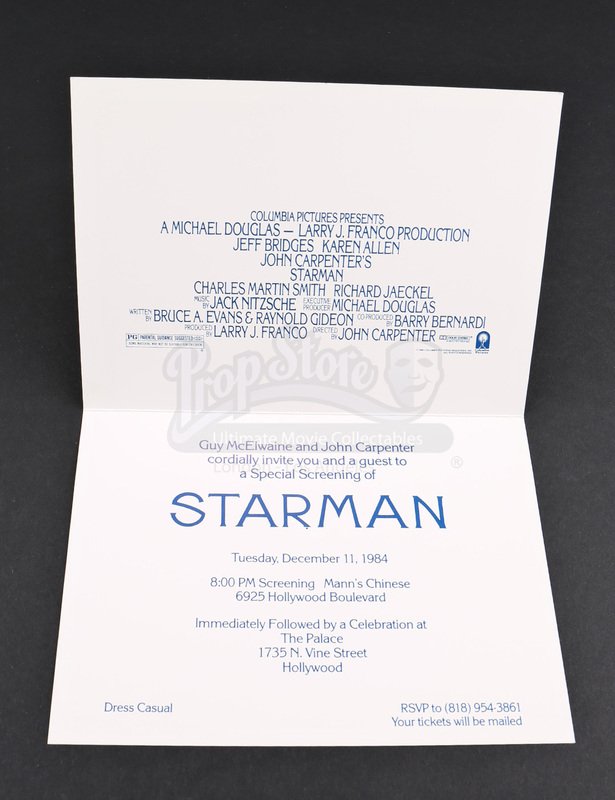 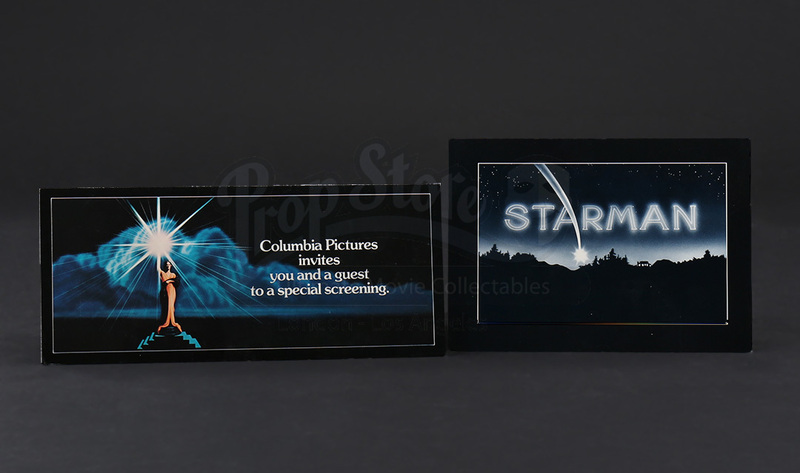 One invitation features the Columbia Pictures logo on the front and states the event information for the cast and crew screening on December 2, 1984 at a screening room at Burbank Studios. 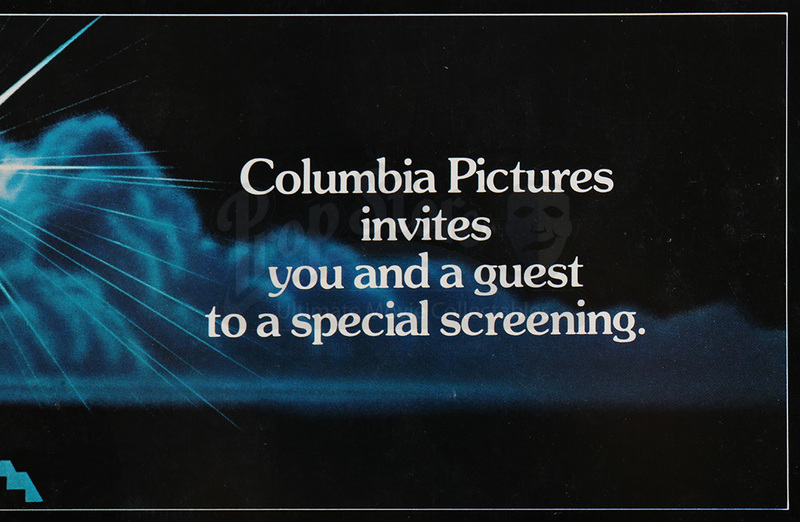 The other invitation features the film's logo and lists the information for a special screening hosted by Guy McElwaine and John Carpenter on December 11, 1984. 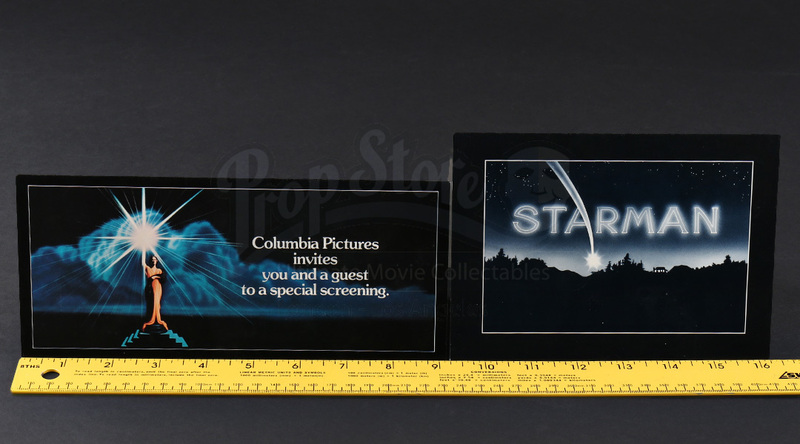 Both invitations show minor signs of wear from age, but both remain in great overall condition.